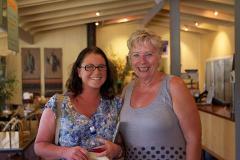 The best wine tour experiences happen when you spend time with a local! 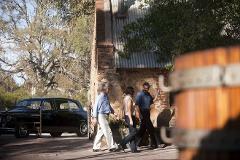 Your personal wine guide, John Baldwin, is a passionate wine lover and has been touring The Barossa for 25 years. His personal introductions are priceless! 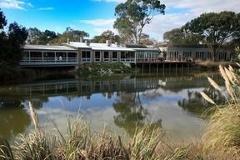 He will introduce you to all the locals, including winemakers, and can customise your tour to be the best day possible. Wine is a very personal experience and so no two tours are ever the same. The Barossa is packed with famous wine labels - more than any other wine region in Australia - so let us introduce you to our backyard. Tour with John and taste the wines, see the grand architecture, learn of the history and culture, and hear the stories that only a local would know. You can visit the icons such as Penfolds, Yalumba and Seppeltsfield or concentrate on the smaller boutique gems and upcoming new labels. As you are touring privately, anything is possible including cheese and olive oil tastings, boutique beers and farmers markets - whatever makes for the best day for you. • Tour visits up to 6 wineries on a tour made for you! The Barossa Valley is famous for its Shiraz, Grenache, and Mataro wines, although most varieties grow well here, these are the standouts. Winery tastings may include Henschke, Charles Melton Wines, Charles Cimicky Wines, Peter Lehmann Wines, Torbreck Vintners, Penfolds Wines, Wolf Blass Wines, Grant Burge Wines, Yalumba and Seppelt Winery to name a few. ***As we are Barossa based, an Adelaide pickup at 9am and a drop off at 5.30pm is available at an added cost of $300-00 (per car, for the return transfers, on tour day). 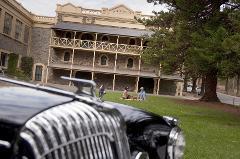 These are in a modern vehicle and on arrival in The Barossa, you'll transfer to the Daimler for your tour. Please note that the cost for the Adelaide pickup and return will be charged later, after email correspondences and you have given your your approval! If the forecast temperature is over 37 degrees Celsius (100 Fahrenheit) for the day of the tour, the Daimler may need to be replaced with our modern Mercedes and appropriate refunds applied.